Ladies...I have to admit...I really lucked out this time. 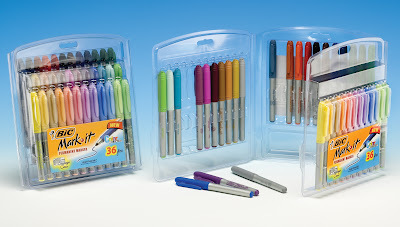 I was asked by a very nice lady at Bic to review their new Mark-it collections and she sent me a set of both the fine and ultra fine markers. As you can see from the picture below, the sets come in a convenient tri-fold case. I am sure that I will just store them in this to keep them neat and organized. 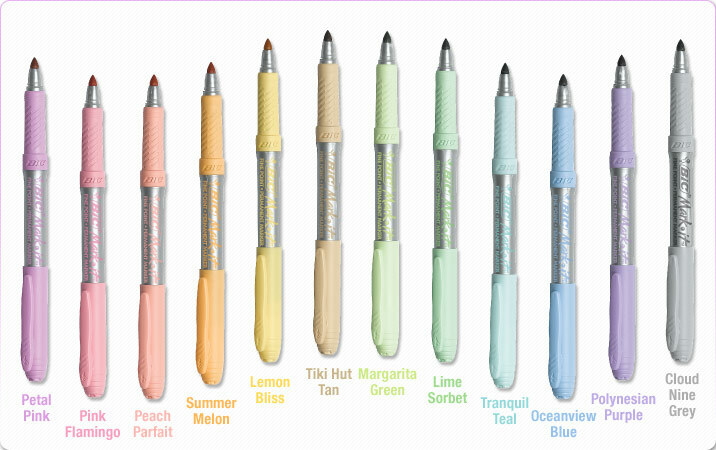 Each set comes with the same 36 colors in three different color 'families' - Paradise Pastels, Earthly Expressions, and Fashion. Personally, I see myself using the Earthy Expressions and Fashion colors more often then the Paradise Pastels, but that's simply a matter of my own color preferences. Still, I'm sure there will be topics to be scrapped that will have me reaching for the pastels as well such as Easter, new babies, etc. After some testing, I did discover that these markers WILL bleed through on standard notebook or printer paper, but since my main use for these markers would be in scrapbooking, I was more concerned with their performance on cardstock. On the heavyweight cardstock that I generally use (Bazzill), I had great results - no bleed through for standard journaling. 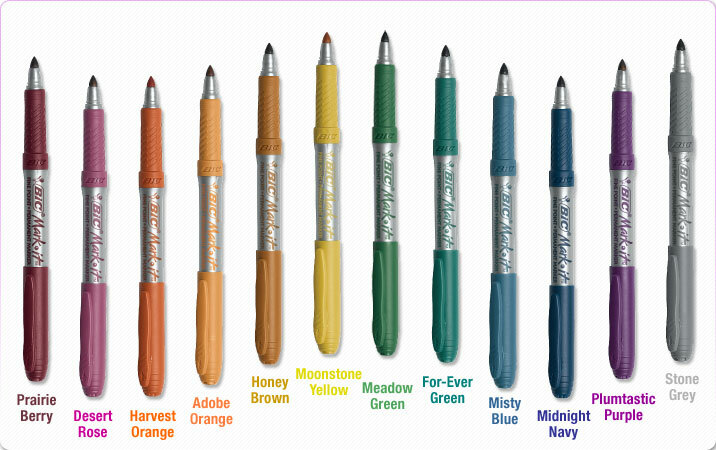 Personally, I do see myself using the ultra fine set MUCH more than the fine as I would primarily use mine for journaling and like a sharper tip. However, I know that there are a lot of scrapbookers and cardmakers among you that enjoy using stamps and hand-coloring your designs. 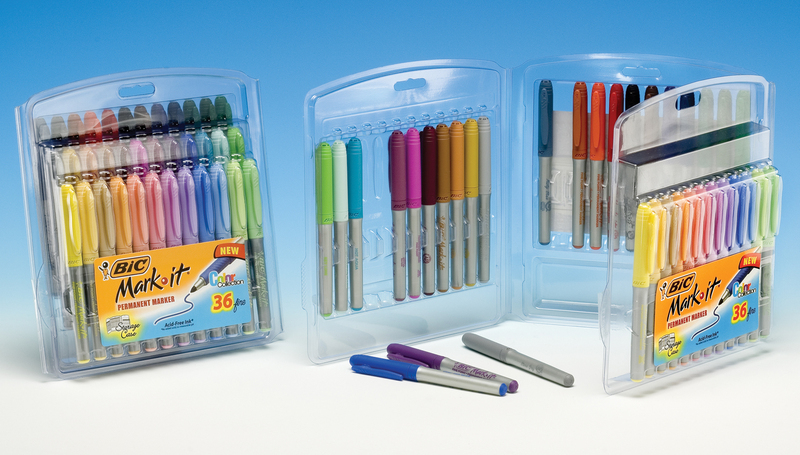 For you, you might want both sets - the ultra fine for detail work and the fine for filling in larger areas of color. On that topic, I found this great tutorial for getting Copic like results with Bic Mark-its for those of you that love the look, but not the price of Copics. A note of caution: these markers are not opaque. Therefore, if you use them on colored cardstock, you will have some color distortion. So, if you want to see what the marker color will look like on your finished product using colored cardstock, you may want to test it on a scrap of the same color or in an area that will later be covered. 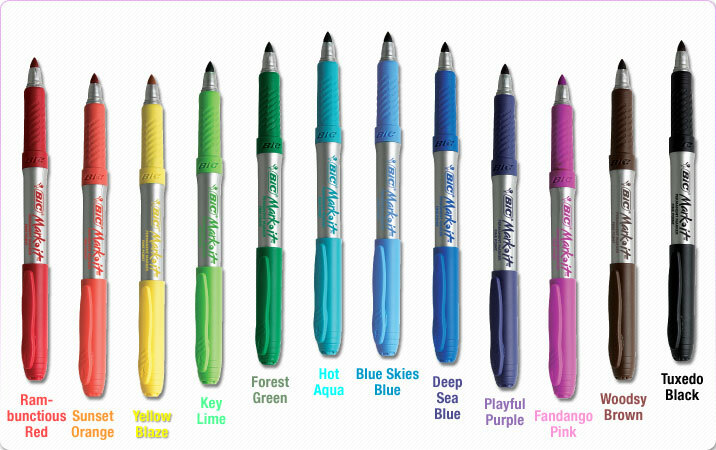 A couple things that are nice about the Bic Mark-its that I haven't mentioned yet is that they have a comfortable rubber grip and the color name is listed on the side of the marker. It makes identifying your favorite colors a little easier. 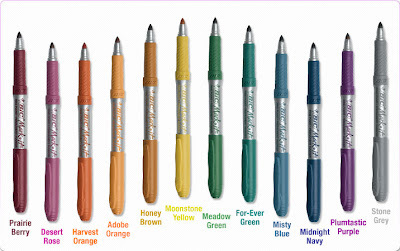 Overall, very lovely markers with a great variety of colors. I mentioned that I was lucky, but three of you will be also as I have THREE prize packs to giveaway! 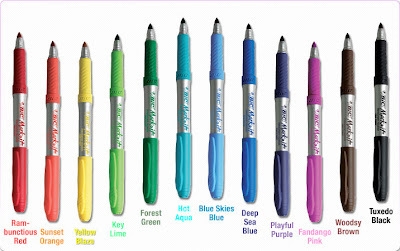 Each prize pack will include a 36-count fine point and a 36-count ultra fine set with a total value $41.98! All you have to do is answer the following question by 5 p.m. (CST) on Thursday, October 28th, 2010 and you'll be entered for your chance to win! 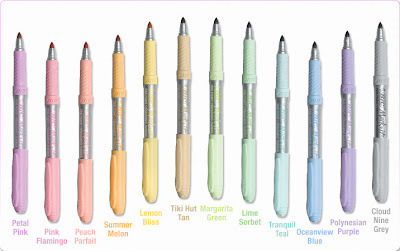 Which color family - Paradise Pastels, Earthy Expressions, or Fashion - do you think you would use the most and why? Random.org will choose the winners and I'll announce them on Friday, the 29th.